Holidays in the heart of the Dolomites and close to Lake Pragser Wildsee, with small wellness oasis & countless activities in the environs. Welcome to Hotel Trenker**** in Prags! "Hospitality is the art of making guests feel at home". In our Hotel Trenker we attach great importance to this principle and all in all there are many good reasons to spend a holiday in the wonderful valley of Prags. On the one hand our guesthouse is characterized by a particularly wonderful position in the middle of the unspoiled mountain world of the Dolomites, inviting you to go on a hike, to go climbing or just to enjoy the heavenly peace and the fresh mountain air. 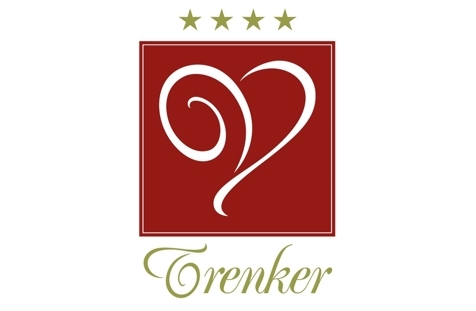 On the other hand Hotel Trenker offers lovingly furnished guestrooms in different categories, where you will surely feel immediately comfortable. It is worth mentioning that we also offer a small but cosy spa area with whirlpool, sauna and steam bath, where you can have a rest and relax after an exciting day in the mountains. 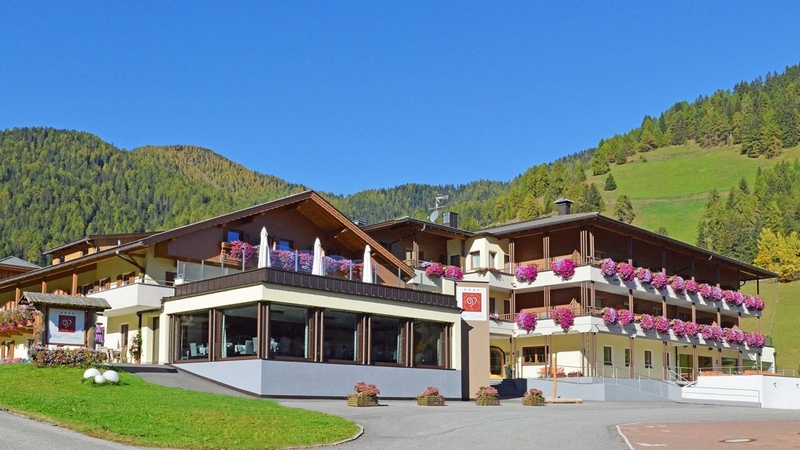 Not forgetting our lauded cuisine that spoils you with typical South Tyrolean delicacies, classic Italian specialties and excellent wines. The Trenker Family looks forward to seeing you soon! measuring 28 m² for 2 - 4 persons Typical Tyrolean: with furniture made from local spruce decorated in typical Tyrolean style. Enjoy the views of Mr. Stone. The spacious bathroom has a large shower. Furnishings: Spacious bathroom with window, shower, WC, bidet and hair dryer; room with a balcony, HD satellite TV with radio channels, telephone, safe and fridge. measuring 28 m² for 2 - 3 persons Sunny with panoramic views: enjoy the sun from your balcony from noon until sunset with a spectacular view over the mountain range Seekofel, Schwarzberg and Kühwiesenkopf Furnishings: Bathroom with shower, WC, bidet and hair dryer; Room with sunny balcony, HD satellite TV with radio channels, telephone, safe and fridge. measuring 24 m² for 2 to 3 people NEW! Modern with view over the valley: you sleep in a room furnished in modern Alpine style with a view over the bottom of the valley of San Vito and the Dobbiaco's Corno di Fana mountain. Furnishings: bathroom with shower, WC, bidet and hair dryer; room with balcony, desk, HD Sat-TV with radio programmes, telephone, safe and fridge. measuring 24 m² für 2 bis 3 Personen Spacious and bright: the warm colors of furniture and fabrics create a cozy atmosphere. The sofa converts into a bed in a blink of an eye. Plenty of space to stow your belongings. Furnishings: Bathroom with shower or bathtub, WC, bidet and hair dryer; room with balcony, HD satellite TV with radio channels, telephone, safe and fridge. measuring 16 m² for 2 persons A cozy nest: enjoy all the amenities of the Trenker’s special treatment packages in a small room at an affordable price. Furnishings: Small bathroom with shower, WC and hair dryer; room with HD satellite TV with radio channels, telephone and safe; few rooms with balcony. measuring 36 m² for 2 to 4 people Relax in comfort: the living area of the bright and cheerful Junior suite invites one to enjoy a convivial time together. After a good day in the mountains relax in the bath tub. Furnishings: spacious bathroom with window, bath tub, WC, bidet, cosmetic mirror and hair dryer, suite with sleeping area and living area that can be separated with corner seating, HD Sat-TV with radio programmes, telephone, safe, fridge and balcony. measuring 35 m² for 2 to 5 people NEW! Modern with panoramic views over the mountains: living and sleeping areas that can be separated by a sliding glass door, furnished in modern Alpine style. Enjoy a fantastic view of the surrounding peaks. Furnishings: spacious bathroom with shower, WC, bidet, cosmetic mirror and hair dryer, suite with sleeping area and separable living area that can be turned into a second sleeping area, desk, 2 HD Sat-TVs with radio programmes, telephone, safe, fridge and balcony. Special offer - For our loyal guests and all guests who like to enjoy some unforgettable days with their family and friends in the Dolomites at the Hotel Trenker. Special offer - Relax and enjoy a recreating holiday! enjoy two unforgettable days at Lake Braie and its surroundings. Including a rowing boat trip at Lake Braies and massages. Special offer early booking - Enjoy a relaxing and recreative week in the mountains for a special price. Enjoy an unforgettable holiday in the Dolomites at Braies Lake. Enjoy relaxing holidays close to Lake Braies surrounded from the UNESCO world heritage Dolomites.